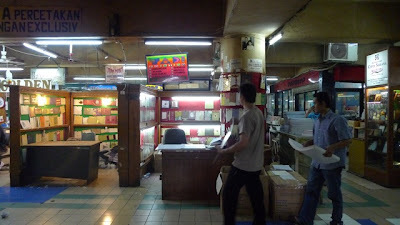 I've decided to look for a letterpress printing (cheap one, though) and Pasar Tebet seemed to be a good source :). Though it wasn't a fruitful hunt, Pasar Tebet certainly was VERY interesting :), specially if you're looking for wedding invitations :D.
I've never been to pasar Tebet, but have been looking around for printer who can do letter press... Do they really do letterpress? Or just regular prints?